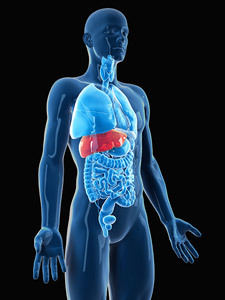 The liver is the largest and one of the most important internal organs, taking part in almost every vital process of the body. It stores vitamins, sugars, fats, and other nutrients from the food you eat, and then releases them into your body as needed. It also builds compounds that your body needs to stay healthy. The organ takes simpler substances and turns them into protein to clot blood, make new cells, and create necessary chemical reactions inside cells. The liver removes waste products from your blood, and breaks down harmful substances, like alcohol and other toxic (poisonous) chemicals, and turns them into harmless chemicals that your body can handle.